Park near to the Church of St. Michael and All Angels, Alnham (NT991109). Take the Salter`s Road track, which leaves the road just west of the Church. Continue uphill in a generally north westerly direction, eventually joining a gravel track which continues uphill. At the top of the rise stands a directional fingerpost, at which point you follow the gravel track as it makes a 90° turn to the right. At the next 90° turn, this time to the left, leave the track and head up the facing hillside to the small plantation. 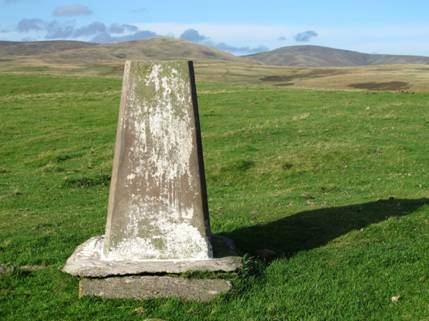 From here the triangulation pillar crowned summit can be clearly seen a short distance ahead. The views to the Simonside Hills and to the Cheviot heartland are outstanding.